Dies R Us: Have a Great Day!! It's hard to believe how quickly the summer has gone. It won't be long before school starts again and these beautiful days are a memory. I decided I wanted to capture a little of the summer magic for my card for today. Starting with an adorable digi image from Sassy Cheryl, I created this cutie with only 3 dies: Memory Box Tiny Tendril (which is currently unavailable, but any one of a number of other leaves would work as well), Elizabeth Craft Designs Bunch of Flowers 4 & Lawn Fawn Large Stitched Square Stackables. I absolutely love the Lawn Fawn Large Stitched Square Stackables dies! The "stitched" look is really popular right now and this set gives you 5 different sizes to play with. 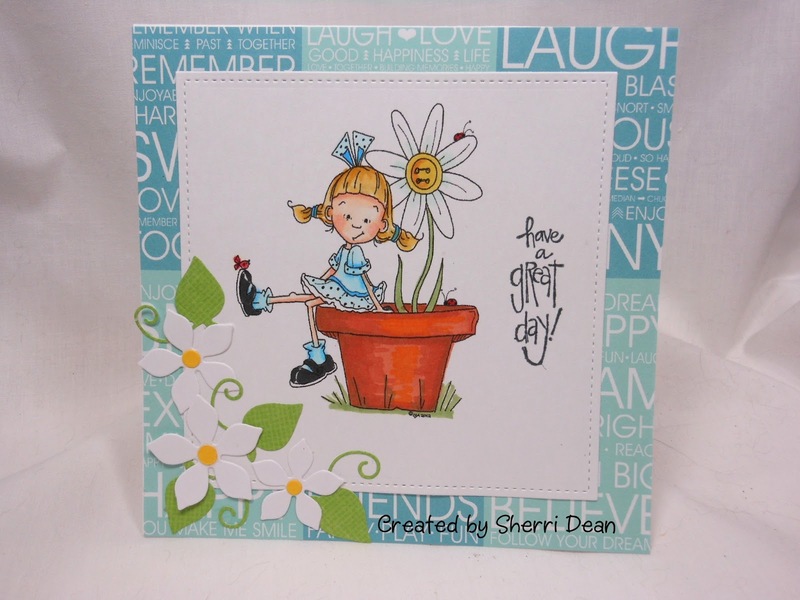 Check out the store for all the wonderful "stitched" effect dies! Be sure you also check out the Dies R Us Challenge Blog too! New challenges begin on the first and fifteenth of the month & you could be the winner of a gift card to the store! I hope you got some great ideas today and are inspired to create something of your own! Enjoy the rest of your week & I will meet you back here next Wednesday! Life is Heavenly . . .